To celebrate both the start of this year's Tour de France and Carlos Sastre’s position as defending champion, Cervélo have lunched two very special and very limited editions of their flagship road frames; the all-conquering R3-SL and super aero S3 in exclusive black and yellow pinstripe paintjobs. 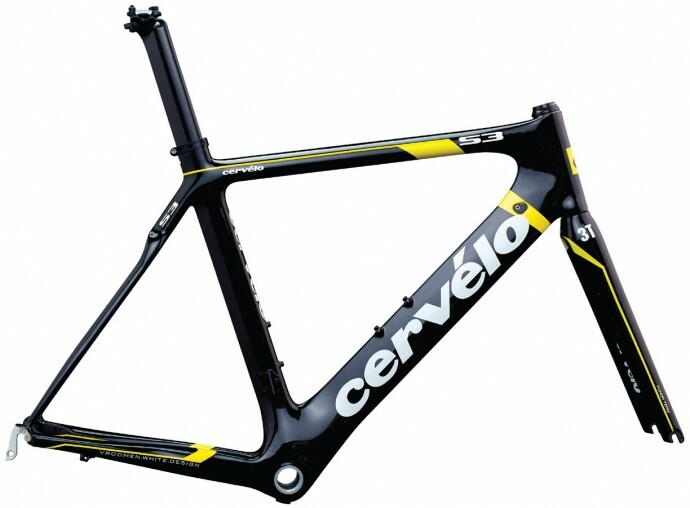 Just 50 of the R3-SL framest will be produced, and Cervelo will be releasing just 200 of the S3 frames. Of the two limited edition packages, the R3-SL takes centre stage both for rarity value and because of the special extra that comes with every one. This was the bike Carlos spent the majority of last year’s Tour riding, so each R3-SL TdF LTD frameset will come complete with a yellow jersey personally signed by the great man himself and a certificate of authenticity to add to the exclusivity factor. The R3-SL TdF LTD should be available by mid July, priced at £3099.99 SRP with only a small quantity of the 50 pieces worldwide destined for the UK. At only a £100 premium over the standard R3-SL it should prove very popular. The S3 TdF LTD shares the same striking black with yellow pinstripe detailing as the R3-SL TdF LTD but celebrates Cervelo Test Team’s inaugural Tour de France. 200pcs of the S3 TdF LTD will be produced worldwide and unlike the R3-Sl it doesn’t include a signed yellow jersey, hence the unchanged £3499.99 SRP. Stock of the S3 TdF LTD is also expected by mid July. Both frames come complete with 3T Funda Team forks, FSA integrated headset and seatpost. The R3-SL is supplied with a 3T Doric Offset LTD (not shown in photo), whilst the S3 comes with Cervélo’s own carbon aero SL seatpost. If you're tempted to dip into your wallet for the R3-SL read our R3-SL review and watch the video to find out what to expect.